Researchers believe that Botox is the most popular type of cosmetic enhancement; more than 6 million patients receive Botox injections each year. 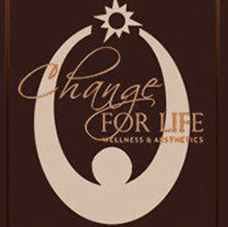 Dr. Wanda Dyson is proud to offer Botox as one of many aesthetic options for patients of Change for Life Wellness & Aesthetics in Washington, D.C. area and beyond. Botox is a cosmetic injectable that is used to reduce fine lines and wrinkles. One of the most popular applications is to smooth the furrow that many people develop between their eyebrows. This creates a more youthful appearance, and also reduces the horizontal lines that run across the forehead. Botox is created from Clostridium botulinum, which is a naturally occurring organism found throughout the environment. It is a nerve toxin that acts to paralyze muscle tissue. When injected at specific sites on the face, Botox prevents the underlying muscle tissue from contracting, which eliminates or greatly reduces the appearance of wrinkles. It is important to note that Botox injections are highly controlled and that practitioners receive extensive training in the use of this aesthetic tool. Is Botox used for purposes other than Cosmetic enhancement? Botox is a powerful medical tool that practitioners use for a variety of applications. Some patients receive Botox injections to control blepharospasm, a condition in which the eyelids are subjected to uncontrollable movement. Botox is also useful in controlling rotational cervical dystonia, which leads to painful muscle spasms in the neck and shoulder. Some people have good results from using Botox to control migraine headaches, overactive bladder, and urinary incontinence. There are many other conditions that respond well to the use of this powerful medicine. What should patients expect when receiving Botox injections? The first step of any cosmetic procedure involves a comprehensive physical examination and a discussion of the patient's specific set of needs and goals. Next, patients come in for an injection of the Botox solution, which is a mixture of the botulinum toxin and saline. It can take between 24 and 72 hours for the injection to show results, although some patients experience results in about five days. Women who are pregnant, breastfeeding or who have had a previous allergic reaction to Botox or its components are not good candidates for this cosmetic procedure.